Just a reminder that the 2012 DR K-12 PI Meeting will be held June 13-15th at the Hyatt Regency Crystal City in Arlington, VA. Registration will open in April, and we hope you will be able to participate. The Call for Proposal generated an enthusiastic response. We will identify sessions that demonstrate a range of disciplines, areas of interest, and approaches, and thanks to the advice and wisdom of our PI meeting advisors, there will be several new elements in this year's meeting. The CADRE Fellows are off to a great start! By the time of the PI meeting, where you will be able to meet the Fellows in person, they will have become an increasingly strong community of learners. To date, they have participated in three shared experiences, offered great insights and questions about each others' projects, and been actively engaged online. They also are developing proposals for the PI meeting and looking forward to co-presenting at our poster sessions. Likewise, several of the CADRE work groups have had a busy fall. You will be the first to receive the new Education R&D Partnership Tool developed by the Work Group on Partnerships with Districts and Schools for Knowledge Use. It focuses on developing, nurturing, and sustaining the researcher/developer/practitioner relationships that are at the core of most of the DR K-12 projects. You can use the tool as a planning and reflection guide, or as a way to assess your partnership. This practical tool is based conceptually on the paper CADRE published last year entitled Fostering Knowledge Use in STEM Education - A Brief on R&D Partnerships with Districts and Schools. The Gaming Group organized an in-person meeting in Washington DC, where members participated in a day-long discussion and debate on a number of critical issues. We've attached a summary to give you a flavor of the conversation. Action steps included the development of proposals for the PI meeting, and the continuation of the Gaming Arcade established at the PI meeting last year. The Engineering Group has been having conversations all fall, and are defining future agendas and sessions for the PI meeting. The New Measurement Paradigms Group has been very active and is close to completion of their report which includes a series of papers on technology-enhanced measurement in complex learning environments. Watch for this group at AERA! Please let us know if you have suggestions for other special interest groups. We will be happy to make them a reality. If you have questions or concerns regarding the deadlines listed, please email cadre@edc.org. Following the September 19th launch of the NSF-funded National Research Council report on successful STEM education, NSF is sponsoring (and CADRE is organizing) a series of regional workshops where stakeholders at all levels can engage in discussion related to the report's recommendations; exemplary programs and resources; and implications for practice. 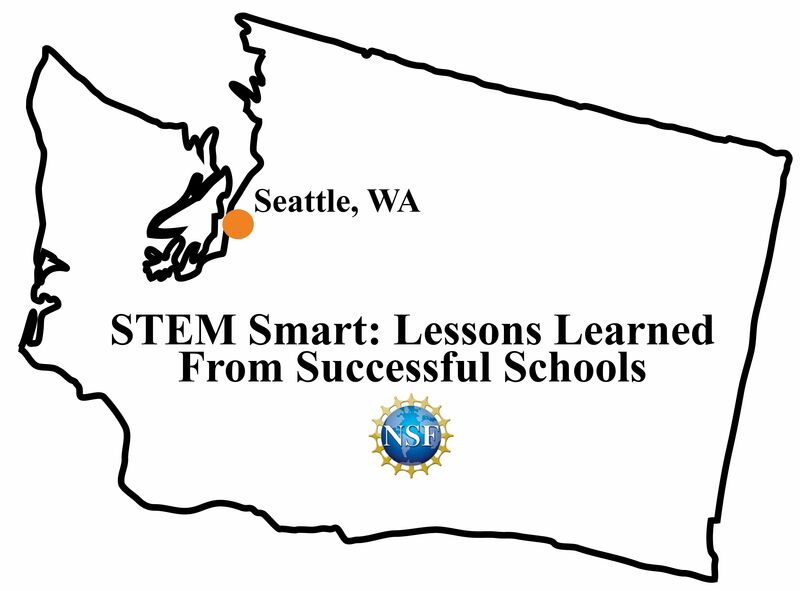 On Tuesday, February 28th, NSF will welcome over 250 registered participants (including practitioner teams) to the Pacific Science Center in Seattle, WA. Presenters, including DR K-12 grantees Kara Jackson, Barbara Means, Babette Moeller, and Cary Sneider, will discuss the report's application related to three strands: Effective Instruction, Equal Access to Quality STEM Experiences, and Supportive Infrastructure for STEM Learning. CADRE recently invited projects to send us recent grant-related publications, upcoming presentations, and websites/social media sites in an effort to help NSF and the DR K-12 community learn more about projects’ latest findings and activities. Many thanks to those who have shared their work. For those who haven't, there's still time! While we’re continuing to collect these materials, we’d like to share what's' been received so far so that you can take advantage of the resources emerging from your colleagues’ work. Download the current list of presentations, publications, and websites. Share information from your project by sending recent publications (please send a URL and/or a file attachment, along with the citation) and websites to cadre@edc.org and by adding upcoming presentations to this survey. What next generation science education standards are games most suited to address better than "conventional" instructional methods? What assessment methodologies allow us to provide credible evidence that learning outcomes are impacted positively? Many thanks to the facilitator (Diane Jass Ketelhut) and attendees (Jodi Asbell-Clarke, Marilyn Ault, Barbara Chamberlin, Bob Coulter, Teon Edwards, Michael Hacker, James Lester, Mark Loveland, Uma Natarajan, Brian Nelson, Edys Quellmalz, Debbie Denise Reese, Frieda Reichsman) for their time, hard work, and expertise! Read a summary of the workshop discussions here. Email cadre@edc.org to learn more about the Gaming group and the other active work groups supported by CADRE. CADRE was recently named one of the 50 most essential twitter feeds for STEM educators by the Best Colleges Online blog. Join us on Twitter and Facebook to stay in the loop on DR K-12, NSF, education, and STEM-related news, and so that we can keep up with the latest from your work. We also welcome you to send project updates to cadre@edc.org so that we can share them with our followers. CADRE is excited to share a new tool, developed by the Work Group on Partnerships with Districts and Schools for Knowledge Use, and designed to support project leaders and school/district personnel as they engage in mutually beneficial partnerships to carry out education R&D work. The tool is based on the hard-won lessons of education practitioners, researchers, and developers who have partnered on R&D projects. Organized around six themes for establishing and nurturing successful partnerships, it includes: 1) a work sheet that prompts reflection and discussion on prominent issues; 2) a parallel reference sheet with practical considerations; 3) tips for starting and sustaining a partnership dialogue; and 4) an appendix that elaborates on the six themes. CADRE would like to thank DR K-12 grantees (Gary Benenson, Mary Hobbs, Karen King, Cathy Kinzer, Karin Wiburg) and district staff for their invaluable contributions. Download the tool here. If you have questions or comments, please email Derek Riley(driley@policystudies.com). This tool accompanies and grows out of an issue brief titled Fostering Knowledge Use in STEM Education: R&D Partnerships with Districts and Schools that was developed by the CADRE work group for a researcher audience. Download a copy of the brief here.